Home / Education / How Does CBD Work? CBD works by switching on a regulatory system in our bodies known as the Endocannabinoid System, or ECS. This system consists of naturally-produced cannabinoids and cannabinoid receptors and regulates a number of physiological and cognitive processes. These include, but are not limited to: sleep, appetite, mood, pain sensation, and memory. CBD interacts directly and indirectly with various receptors to produce it’s therapeutic effects. A growing body of evidence demonstrates that deficits in endocannabinoid signaling may result in depressive and anxiogenic behavioral responses. Traditional medication can result in pharmacological augmentation of endocannabinoid signaling, and may result in depressive and anxiogenic behavioral responses. Meanwhile, pharmacological augmentation of endocannabinoid signaling can produce both antidepressant and anxiolytic behavioral responses. Both clinical and preclinical data argues that cannabinoid receptor signaling may be a realistic target in the development of mood and anxiety disorders. Therefore, researchers have taken a closer look at finding the possible therapeutic potential of cannabinoids in anxiety and other mood disorders. To better understand how CBD works, we must understand the body’s Endocannabinoid System and how this system operates. The Endocannabinoid system (ECS) is a complex physiologic network within the human body. It is a sub-system within our central nervous, peripheral nervous, and immune systems that maintains homeostasis in the body, creating the ideal conditions for cells to perform optimally. Studies show the ECS has a positive impact on physiology, cognition, and general wellness when it is properly functioning. The endocannabinoid system has a series of receptors that are designed to accept cannabinoids, including CBD. Acting as a signaling system in the brain, the ECS acts to control neurotransmitter release. The expression patterns of this system throughout limbic regions of the brain situate it to exert regulatory control over emotional behavior, mood and stress responsivity. Researchers have hypothesized that the ECS is dysfunctional in mood and related disorders. THC and CBD combine antidepressant, antipsychotic, anxiolytic, analgesic, and anticonvulsant actions, suggesting therapeutic potential in mood and related disorders. Currently, cannabinoids’ strongest role is in pain control. Some studies report ECS abnormalities in those suffering from depression, schizophrenia, and suicidal tendencies. Abnormalities in the CNR1 gene have been reported in psychiatric disorders. Perhaps the most fascinating thing about the ECS is that its function can be controlled: the way we live affects its function. Cannabis is the most popular way to tap into this system. It works by introducing its own phytocannabinoids into our ECS, and can mimic the way our endocannabinoids operate, allowing us to “tune the function” of the complex system. CBD interacts with numerous receptors inside and outside of the endocannabinoid system. Cannabinoid receptors are present within areas of the brain known to control emotional behavior, mood, stress and fear. These structures include the prefrontal cortex, amygdala, hippocampus, and periaqueductal gray (PAG) of the midbrain. CB1 and CB2 receptors are the main receptors in the endocannabinoid system. CB1 receptors are primarily found in the nervous system, organs, connective tissues, glands, and gonads. CB2 receptors, on the other hand, are mainly located in the immune system and structures related to healthy immune functioning. Studies show that CB1 and CB2 receptors can provide many health benefits when they are activated, including regulation of pain, sensation, mood, concentration, appetite, and memory. Although CBD does not have a direct effect on CB1 and CB2 receptors, it signals other endocannabinoids to activate these receptors and increase their impact on areas of the body that contain them. One way it does this is by triggering the endocannabinoid system to release more 2-AG. 2-AG, in turn, directly stimulates CB1 and CB2 receptors, enhancing the overall effect of CBD on the body. High concentrations of CBD will activate the 5-HT1A serotonin receptor, which is found in the central nervous system and peripheral nervous system. Once activated, this receptor can have a positive effect on many biological and neurological conditions, including anxiety, depression, pain addiction, nausea, appetite, sleep, and others. CBD is also a stimulant of the vanilloid receptor. Also known as TRPV-1 receptor, this receptor is found in both neural and non-neural cells. Studies indicate that it can mediate inflammation, pain, and body temperature. When CBD activates the adenosine receptor, it can produce an anti-anxiety effect. This receptor provides a number of health benefits, including improving cardiovascular function, reducing inflammation, and others. It can also enhance brain health and function by down-regulating the production of dopamine, glutamate, and other neurotransmitters. While CBD works by activating serotonin, vanilloid, and adenosine receptors, it also delivers positive effects by blocking a certain receptor. 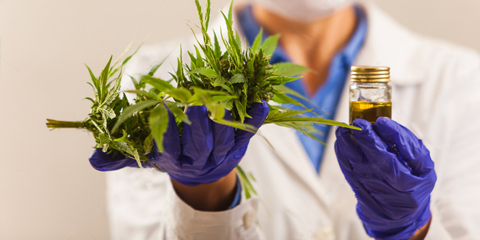 According to research by the University of Aberdeen, CBD is an antagonist of the GPR55 receptor. Found in the brain, this receptor can promote bone resorption and cancer cell proliferation. By deactivating it, CBD can help control osteoporosis and the spread of cancer. Although it is a cannabinoid, keep in mind that CBD does not directly interact with the two main cannabinoid receptors (CB1 and CB2). Instead, it affects signaling through CB1 and CB2 receptors indirectly. This partly explains why CBD is non-intoxicating. CBD can also increase levels of the body’s own naturally-produced cannabinoids by inhibiting the enzymes that break them down. Even more compelling, CBD influences many non-cannabinoid receptor systems in the brain, interacting with receptors sensitive to a variety of drugs and neurotransmitters. These include opioid receptors that are known for their role in pain regulation. CBD can also communicate with dopamine receptors, which play an essential role in regulating many aspects of human behavior and cognition, including motivation and reward-seeking management. CBD’s therapeutic potential extends to the serotonin system as well. Previous studies conducted on animals have demonstrated that CBD directly activates multiple serotonin receptors in the brain. These interactions are cause for further studies on CBD’s ability to reduce drug-seeking behavior. The effect CBD has on serotonin accounts (in part) for its anti-anxiety properties. CBD shows potential therapeutic value in the treatment of motivational disorders like depression, anxiety, and addiction. Understanding how CBD works can help you gain a better understanding of its effectiveness as a health supplement. Daintri’s focus is on health and wellness. We curate only the best of the best CBD products to help you live your healthiest life. 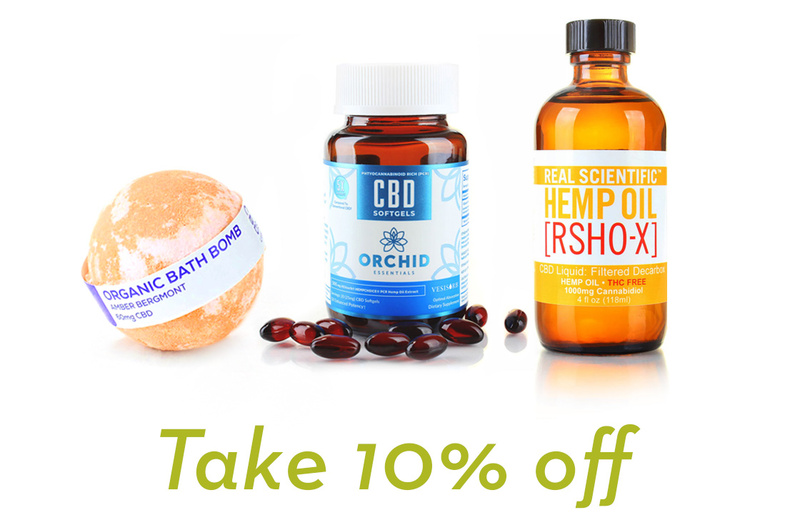 Some of our most popular product categories include CBD oil, tincture, edibles, vapes, topicals, beauty products, pet products, and more. If there are any questions about products, manufacturing processes or extraction methods, please let us know. We are on a mission to help as many people as possible with their health ailments. Next post: What is the Endocannabinoid System?